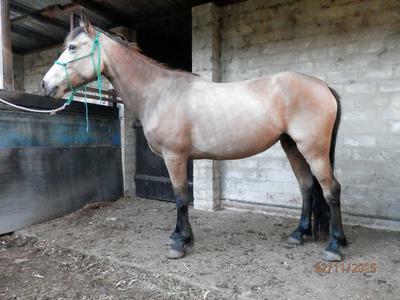 7yo, 15hh, dappled, buckskin, registered Guy Fawkes Heritage Horse mare, "Dashka”. Started under saddle 5 years ago, very intelligent and beautiful movement. 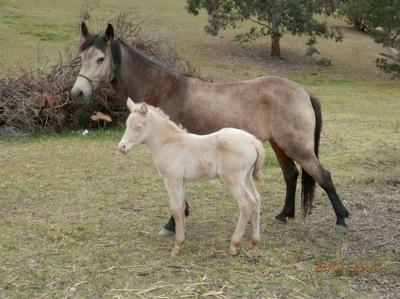 Dam to an outstanding GFHH perlino colt 2014, sired by GFHH "Sting". Ready for riding & further training or to be bred again.